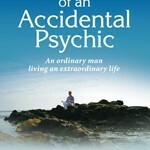 From his centre in Mijas, Mark tells the story of his remarkable journey from auctioneer to shopkeeper to psychic spiritual healer with an openness and honesty that draws the reader in to the world of spirit and hidden mystery. The chapters recount many of the experiences Mark has had with his clients over the years and provide an astonishing insight into the power of tapping into this world of spirit, the accuracy of the readings, the knowledge that can be gained and the help provided to many people. There will always be people sceptical about the truth of these claims but if anyone can put forward a convincing argument for the ability to reach into the spirit world, Mark Bajerski, with his humility and honesty, certainly offers a tantalising glimpse of another world beyond the senses.